Happy Easter! I just wanted to share a quick look at our cute Easter/Spring decorations. 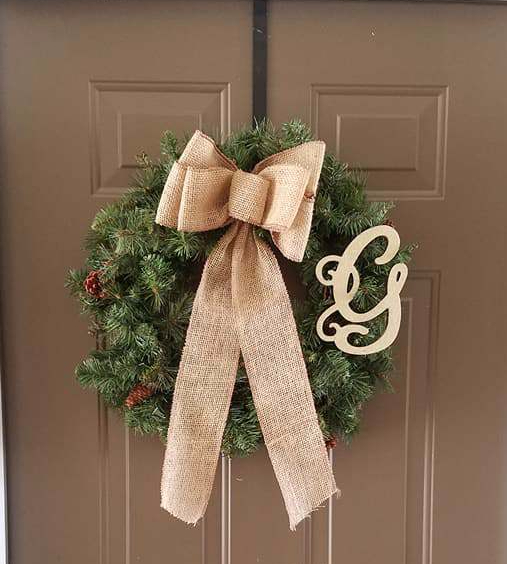 I just posted a DIY tutorial on how to make this wreath. Check it out! That’s all! Short and sweet! I hope everyone has a nice Easter. About a month ago I received my first shipment from Grove Collaborative, an ethical and environmentally friendly home products company. Grove is a Certified B Corp meaning they meet the rigorous standards of social and environmental performance, accountability, and transparency. They carry brands like Seventh Generation, Mrs. Meyers, Method, Dr. Bronner’s, Tom’s of Maine, Thayer’s, and more! From household cleaning products to beauty products to baby products, they have anything you would need. Grove Collaborative is subscription service that delivers products to your door on a monthly, bi-monthly, quarterly, or semi-annual basis. I decided to sign up for Grove because I came across an offer that I couldn’t pass up. They were giving away $30 of Mrs. Meyer’s products with a purchase of $25. I was already in need of cleaning supplies, so I figured I’d give it a shot! 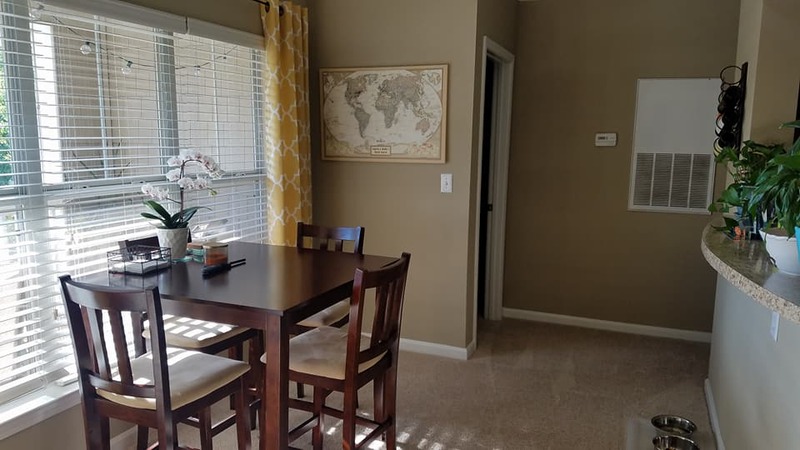 Plus, I had seen a lot of bloggers post about it…and you guys know I’m a sucker for referrals! 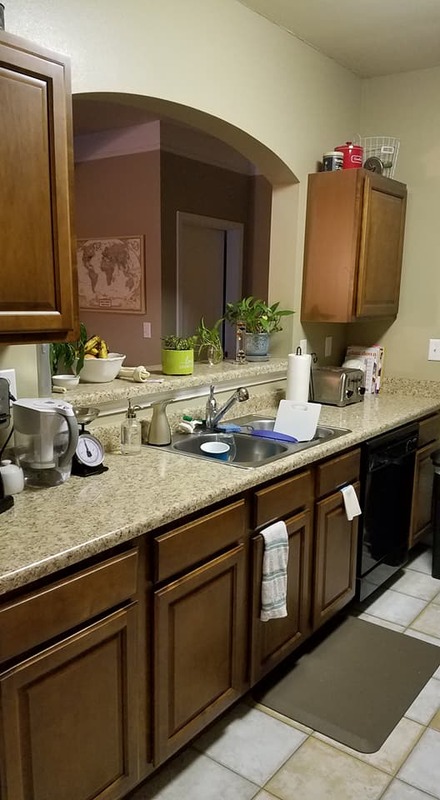 I purchased new kitchen towels, Microfiber cleaning cloths, dishwashing gloves, dishwashing liquid, and walnut scouring pads. In return, I got Mrs. Meyer’s dishwashing liquid, hand soap, and surface cleaner. Not to mention the super cute tin can to hold everything in! 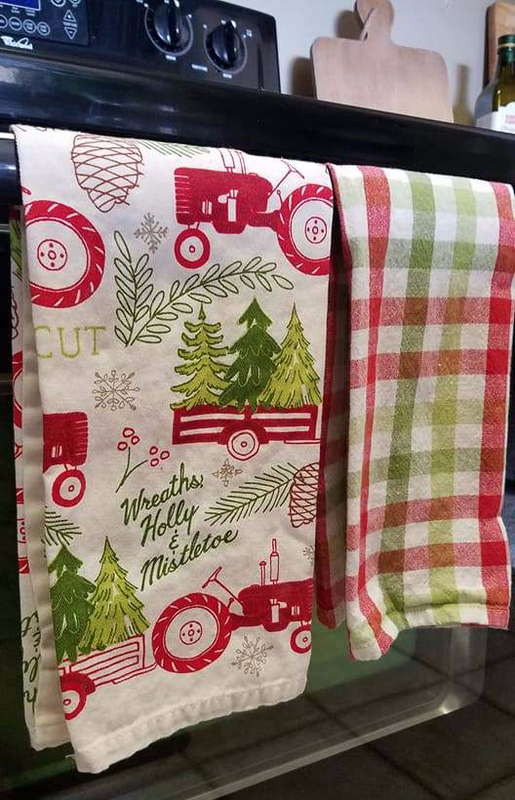 I had my previous kitchen towels since college, so it was time for an upgrade. These grey striped kitchen towels are made of 100% cotton and are super durable! I can use them to dry dishes or as a pad for hot pans. They came in a 2 pack for less than $10. You can also find them in red, navy or beige. Like my kitchen towels, I’ve been using the same microfiber cleaning cloths since college. And I made the mistake of washing them like the rest of my linens — hot water, laundry detergent, and fabric softener (microfiber cleaning tips here). These all-purpose microfiber cloths are great for capturing dust. Living in an apartment, I feel like I’m constantly dusting, so these cloths are miracle workers! Whether it’s the drip pans, inside of the oven, or a baking dish, I’m always using scour pads to clean up a tough mess. So when I saw these Walnut Scour Pads, I was curious to see if they’d really work. They’re made with crushed walnuts sustainably farmed in the US. How cool?! And, yes, they work great like regular scour pads! These cleaning gloves were so cute I couldn’t pass them up! I wear gloves most often when washing dishes, and sometimes when I’m doing heavy duty cleaning. Gloves definitely save a manicure! My last pair were from Target and they were too big. These gloves are more fitting and have a super cute design on the cuff. You can never have enough dishwashing liquid! This was a no-brainer when looking to meet the minimum purchase. I love Seventh Generation products! They’re free of fragrances, dyes, and triclosan. I’ve become more conscious of the products I use and the chemicals in them. This is one of the reasons I love Grove! As a part of the promotion, I got all three of these Mrs. Meyer’s products for free. 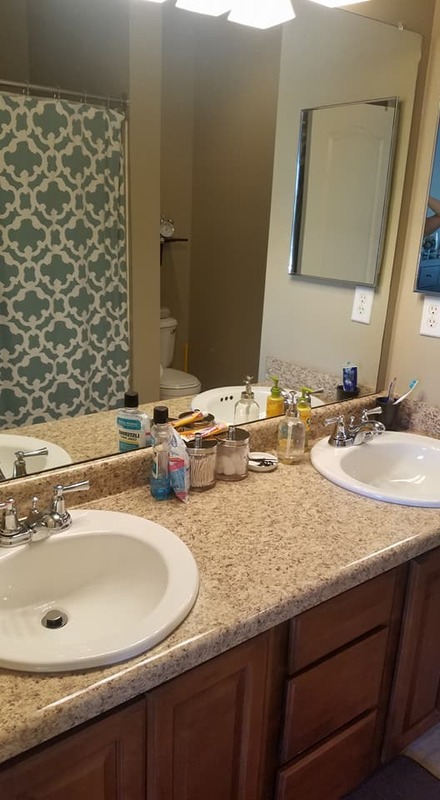 I was able to select which products and which scents, so I chose the Multi-surface Cleaner in Geranium, Dish Soap in Bluebell, and Hand Soap in Honeysuckle. 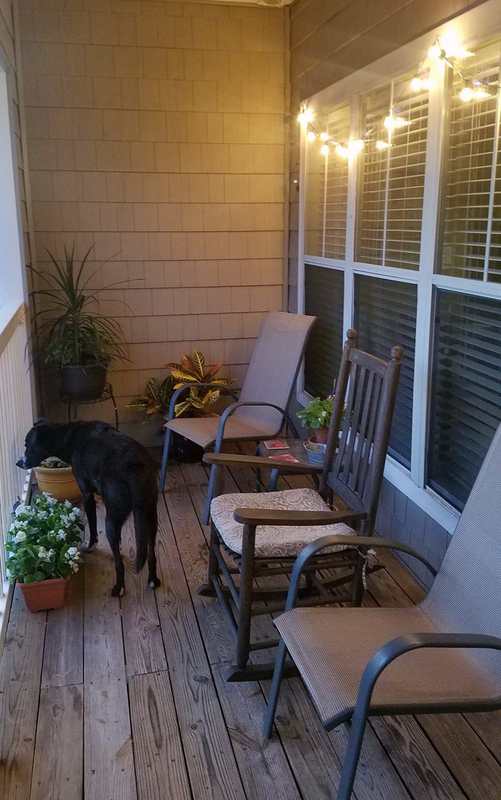 I really love the Bluebell and Honeysuckle scents, but the Geranium is a little too strong for my liking. Lastly, how cute is this cleaning bucket?! Let’ be honest, this bucket was the whole reason I signed up for Grove. The bucket is about 9″ wide and 5″ tall, which isn’t big enough for all of my supplies but it’s perfect to use for decor. 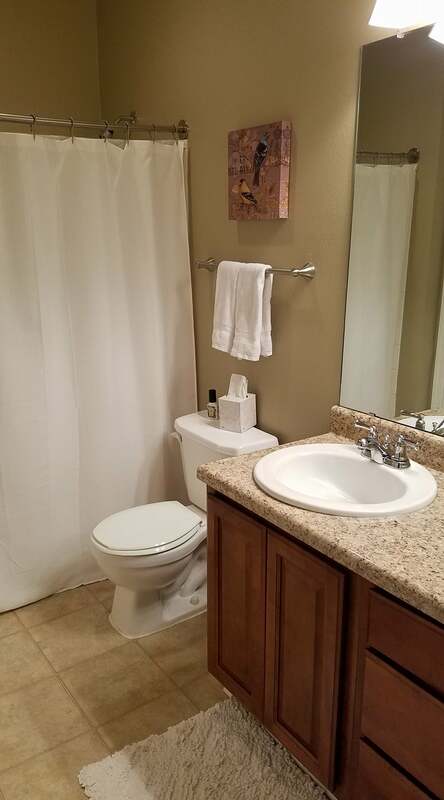 I decided to pot some lavender in it and put it in our guest bathroom. Overall, I definitely don’t need new supplies every month. Luckily, I can customize the service to be delivered as often as I’d like (monthly, bi-monthly, quarterly, etc). However, I find it easier to just purchase these items on my weekly grocery run or via Amazon. Have you tried Grove? What are your thoughts? Hi friends! 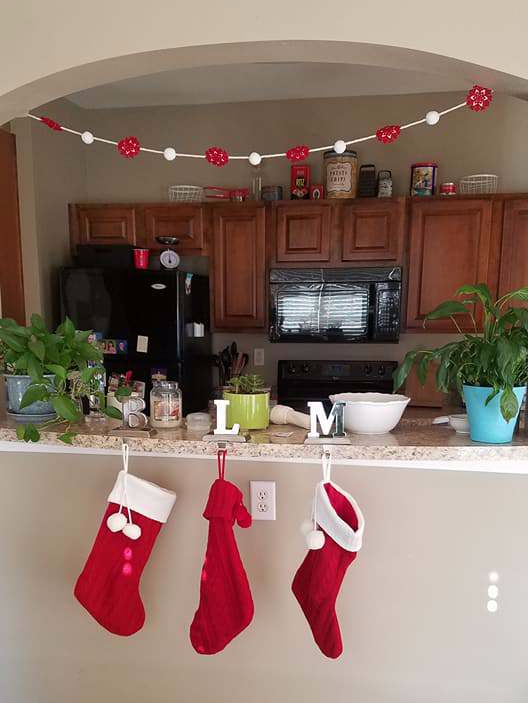 With Valentine’s Day coming up, I wanted to share some of my holiday home decorations. 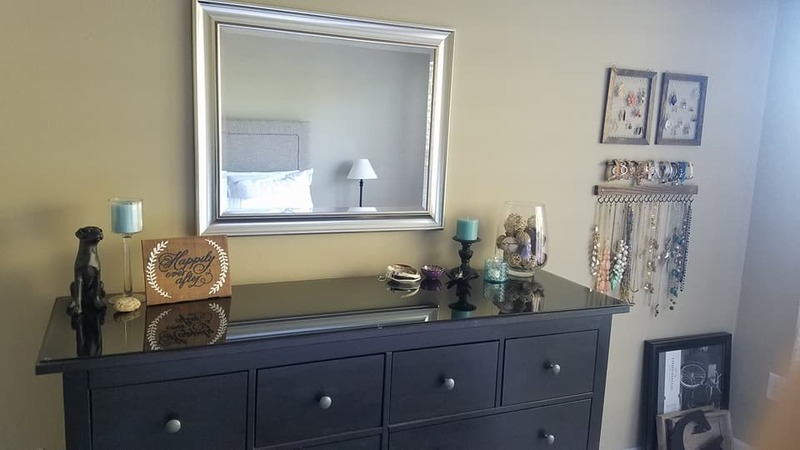 As I mentioned in my last post, Bobby and I don’t really celebrate Valentine’s Day, but I sure do love to dress up and decorate! 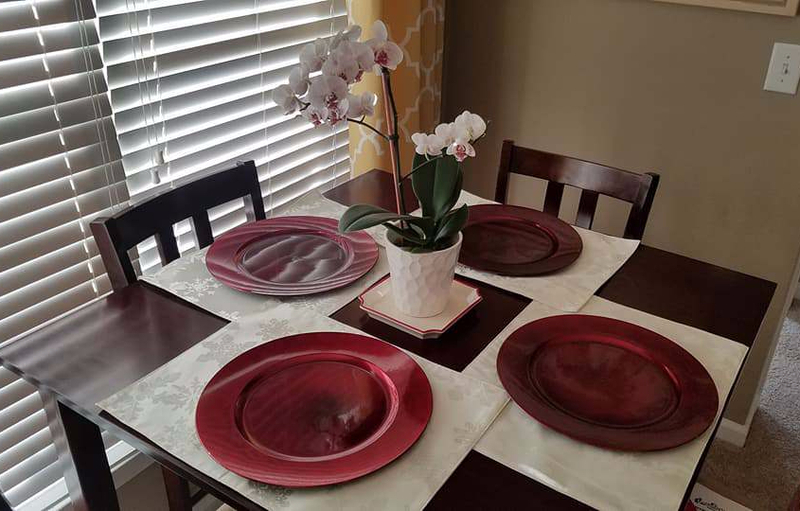 The hard part with Valentine’s Day decor is that I never know when it’s appropriate to start decorating. By the time I put all of the Christmas stuff away (right after New Year’s), it felt too early to put up hearts. I usually get the urge to start decorating around February 1st, but then the decor is only relevant for 2-ish weeks. 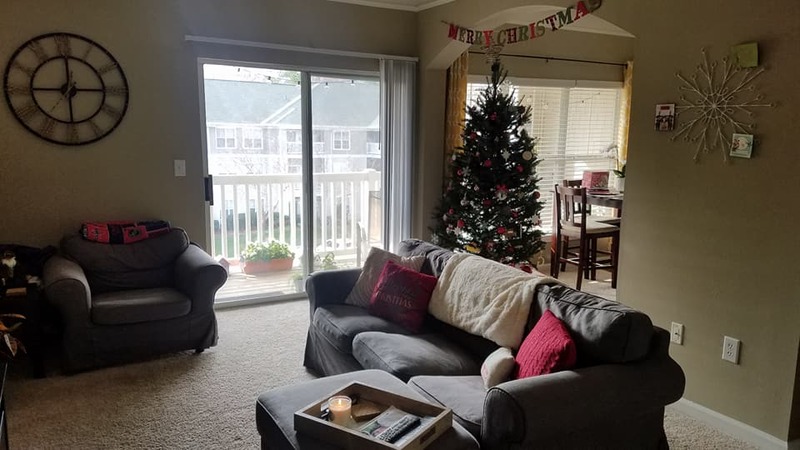 When do you guys start decorating? 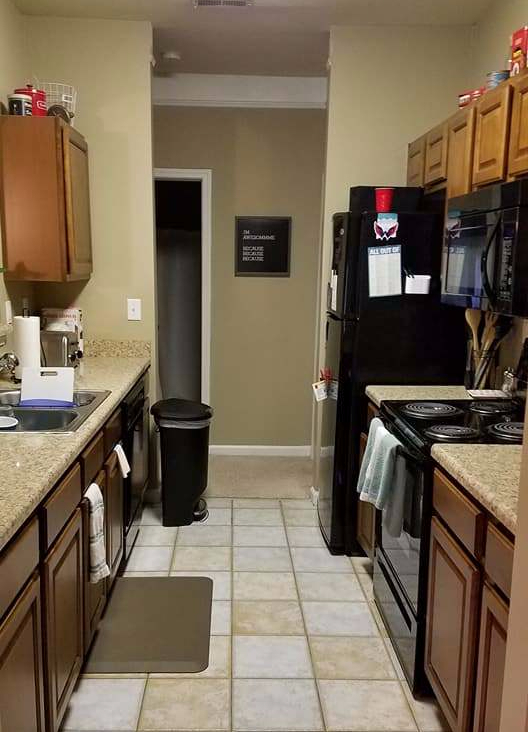 Anyways, here are a few photos of our apartment with my Valentine’s Day decor. Enjoy! I purchased this cute pom pom bunny from the NC State Farmers Market. An 8 y/o was selling these to raise money for kids with cancer. 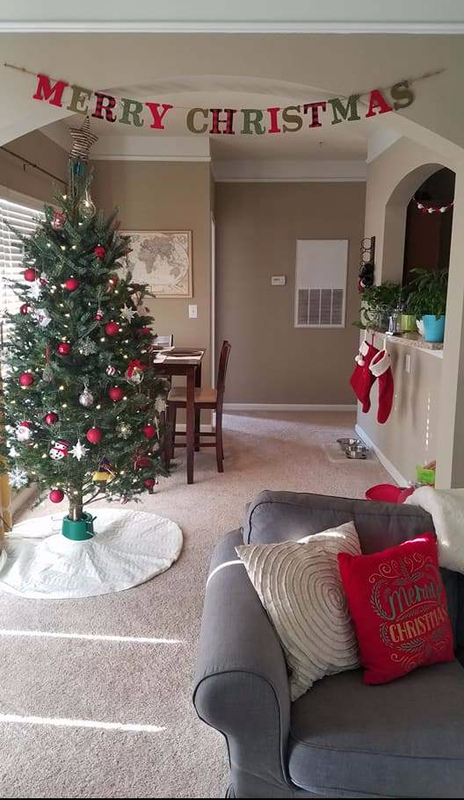 I knocked off the first item on my Christmas Bucket List: we decorated for Christmas this weekend! 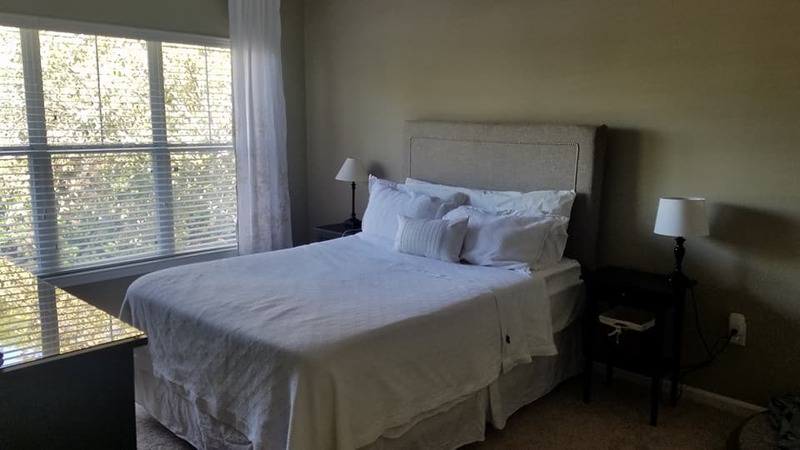 And now I get to share a holiday home tour! Bobby convinced me to get a real tree this year. This is the first time we’ve been allowed to have a real tree in an apartment, so I caved. There was a small tree stand in the shopping center near our apartment. We realized as we were pulling up that it was DEAD. There were about 7-8 staffers waiting around for customers, but as soon as we walked in they were very friendly and helpful. As we looked at the trees we noticed they were really pricey. We thought about leaving, but decided to just grab a tree and get it over with. As we went to check out, the man at the registered asked if we’d like to donate to TROSA. TROSA is a substance abuse recovery program located in Durham and the tree stand was being managed by men and women in the program. The whole tree program was part of TROSA’s rehabilitation — the men and women of TROSA go out and cut the trees down, set up the tree stand, manage the inventory, sell trees, and provide customer service. Once we realized their involvement, we were happy to donate. 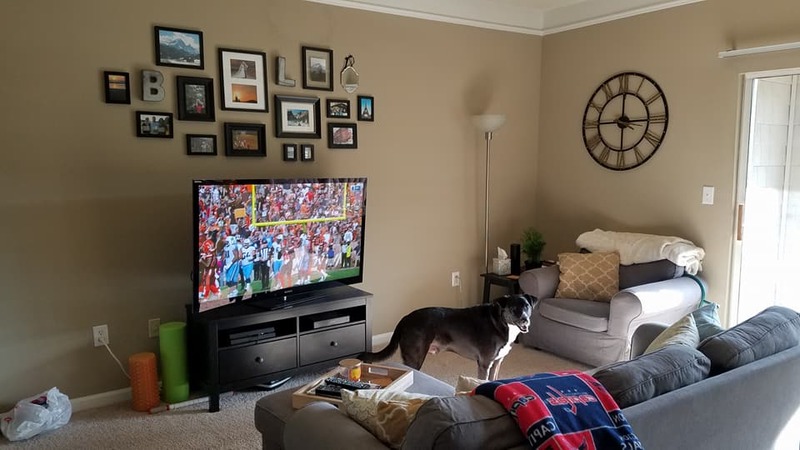 I spent most of Saturday and Sunday cleaning and decorating the apartment. 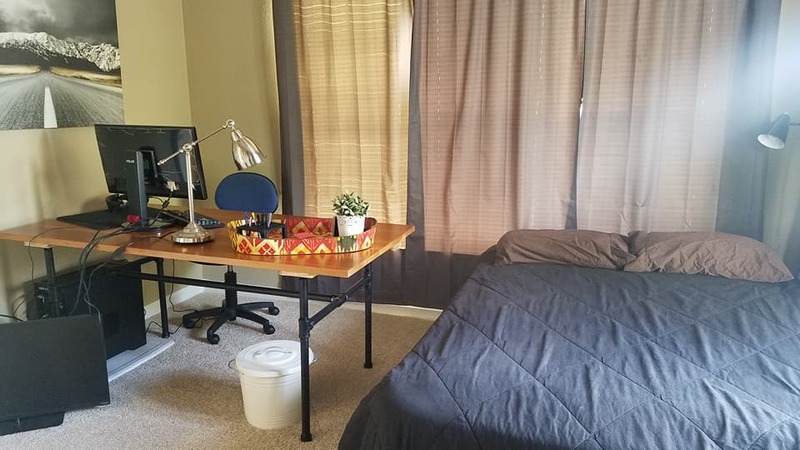 We’ve been out of town the past few weekends, so I haven’t had much time to tidy up. 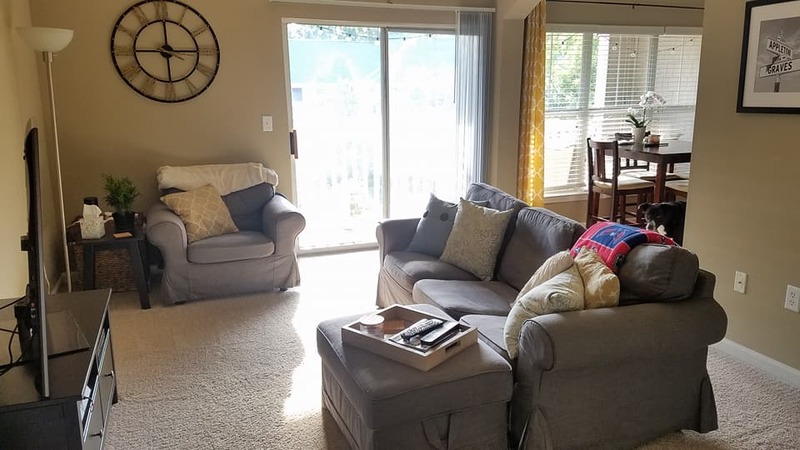 It was a complete overhaul of the bathrooms, bedroom and living room…and probably 10 loads of laundry. Much needed! 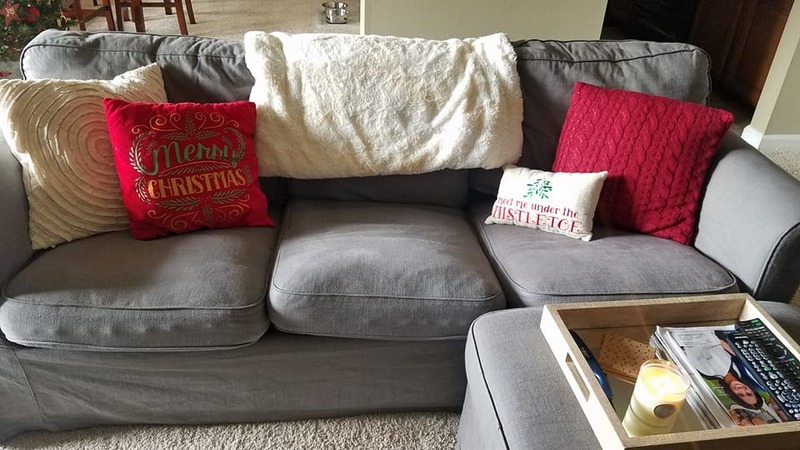 Of course I have Christmas pillows! How cute it this card holder? I bought it at TJ Maxx a few years ago. Here are some of my favorite ornaments! 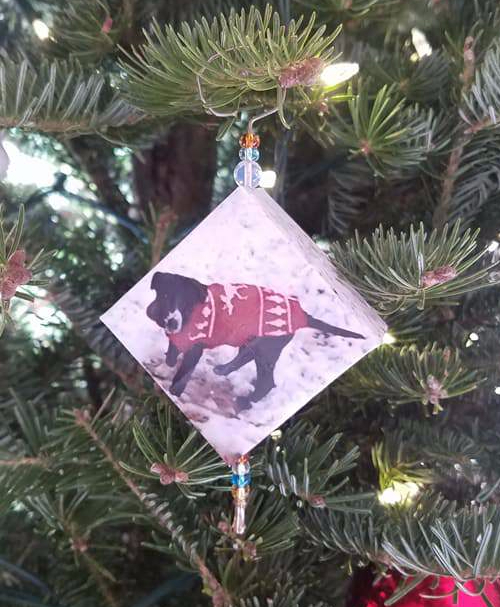 Bobby’s grandmother made this ornament for us! It says “Mowgli’s 1st snow” on the back. He was so tiny! 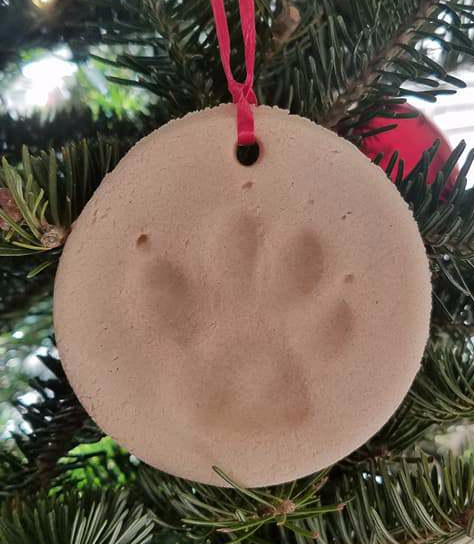 I made this ornament when we first got Mowgli (November 2014). His little puppy paw! 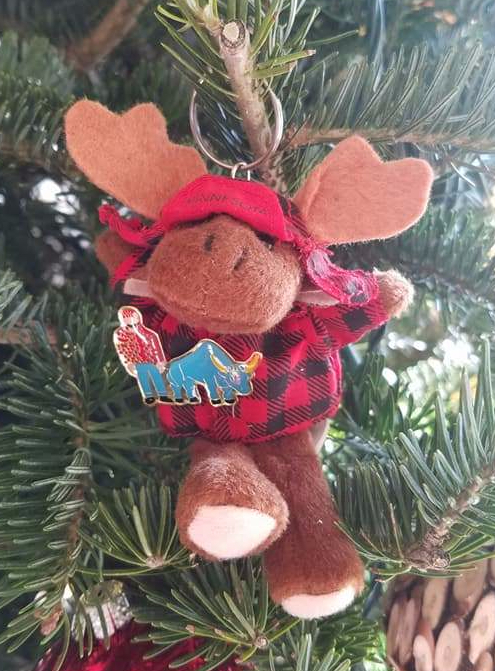 We got this ornament from Shenandoah National Park the weekend we got engaged. 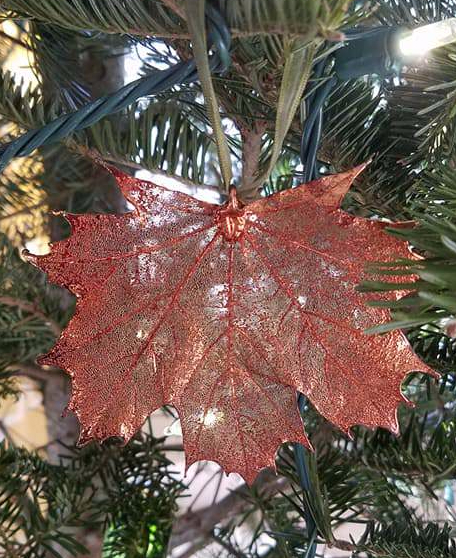 The ornament is a thin copper. It’s just beautiful! 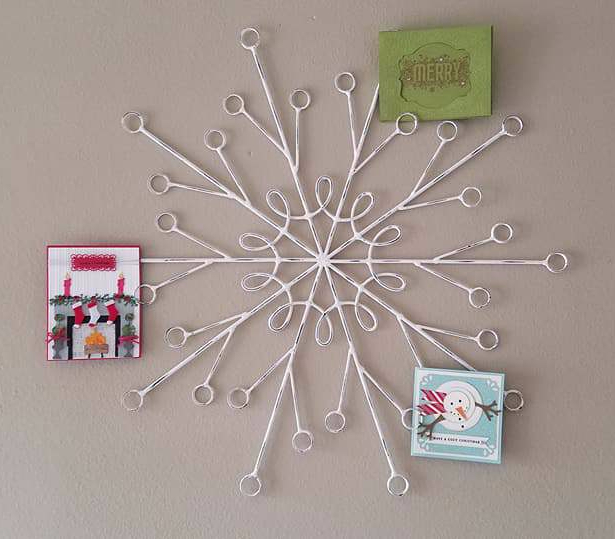 We turned this keychain into an ornament. It’s a reminder of last year’s Christmas in Bemidji! 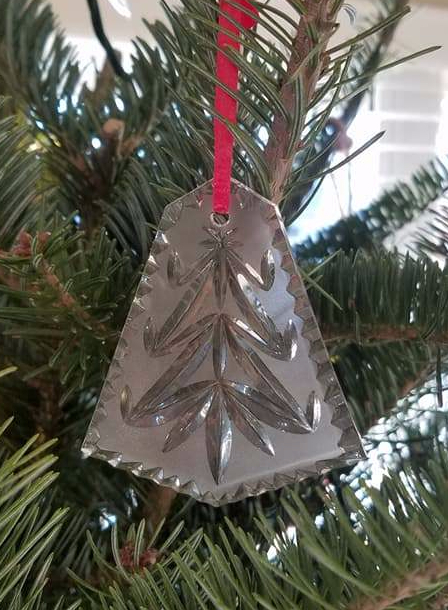 This Waterford Crystal ornament was given by my mom to my grandma at my first Christmas. Both grandmas have passed the ornament back to my mom and are now hanging on my tree! Now that decorating is complete, time for gingerbread house making and cookie baking! Hope you’ve enjoyed the holiday home tour! Do you have friends that you consider family? We do! Our friends, Matt and Erin, came to visit this weekend. They’re family to us. We’re trying to convince them to move down to Raleigh, but we’ll settle for a visit. 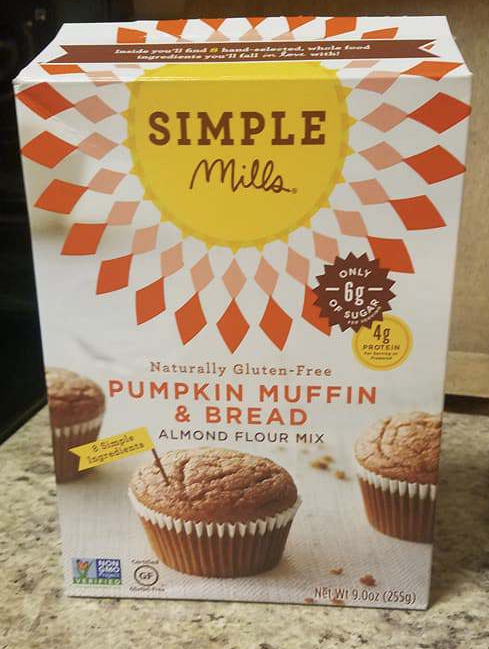 After work on Friday, while I was waiting for them to arrive, I tried a new Pumpkin Bread mix from Simple Mills. While I’m not gluten free, I LOVE a good pumpkin mix! If I’m being totally honest, I wasn’t a fan. Even though the box didn’t say “pumpkin spice” I felt like there was too much spice — specifically cloves. Oh well. At least they smelled good! On Saturday we decided to head up to Wake Forest. We grabbed dinner at Las Margaritas — an authentic (and cheap!) Mexican place. It was pretty good! Plus, it’s located in downtown Wake Forest…which is the cutest downtown I’ve been to! 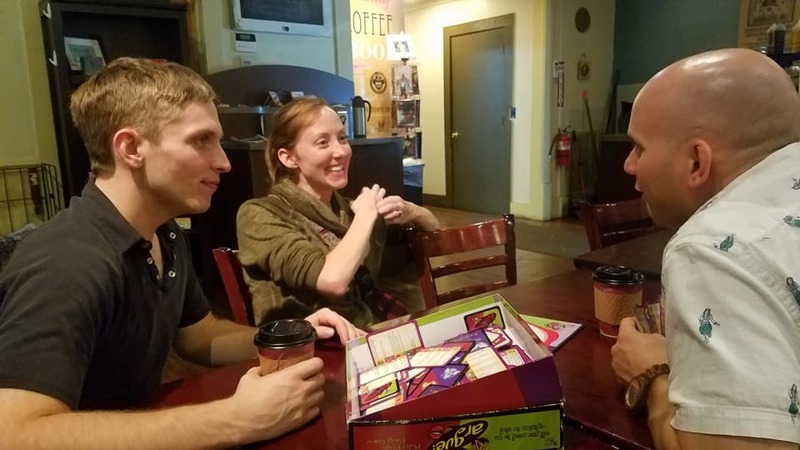 We hopped over to White Street Brewing for some games and brews. We grabbed a set of darts and as Erin was saying “can we get a warm up round” she threw a bull’s eye! 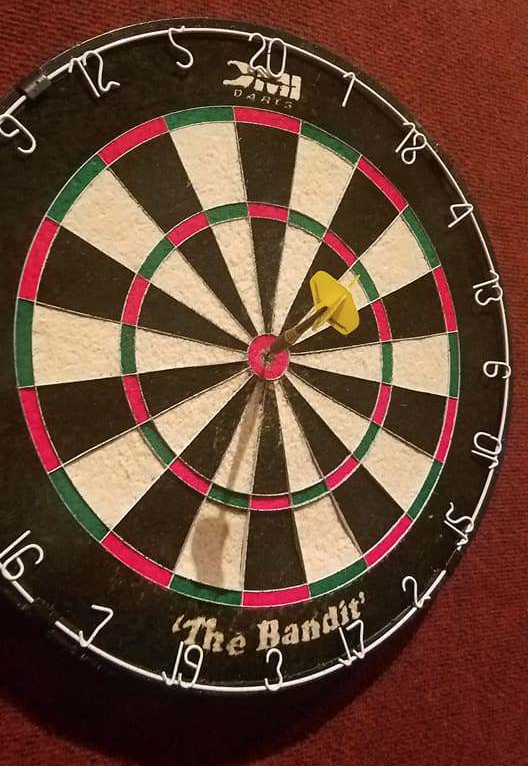 A BULL’S EYE! Can you believe that?! I found out that I have great consistency, but poor accuracy! 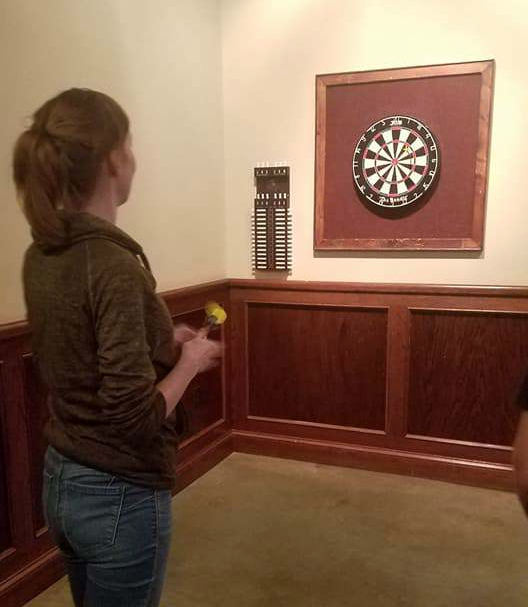 I also found out that my husband is AWESOME at darts. Who knew?! 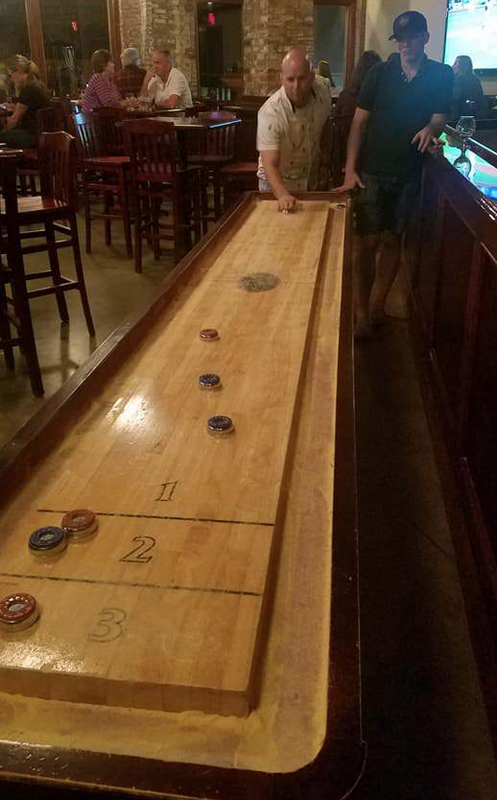 After darts, we swapped out for shuffleboard — one of MY favorite games. 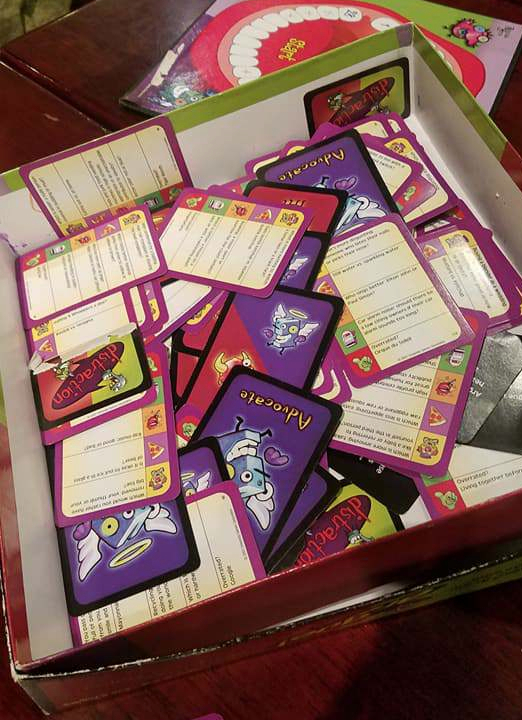 Needless to say – Matt and I won! Before heading home we stopped by a local coffee shop, Wake Forest Coffee Company. I love eclectic little shops. 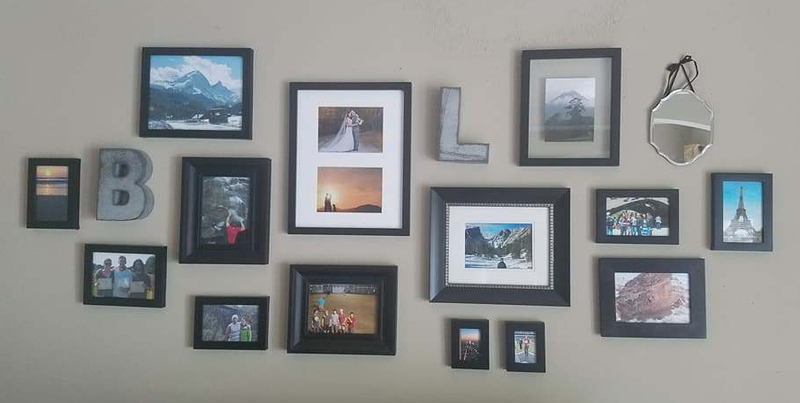 They had a bunch of local art for sale, which I really enjoy looking at. How cute are these Halloween tiles??? 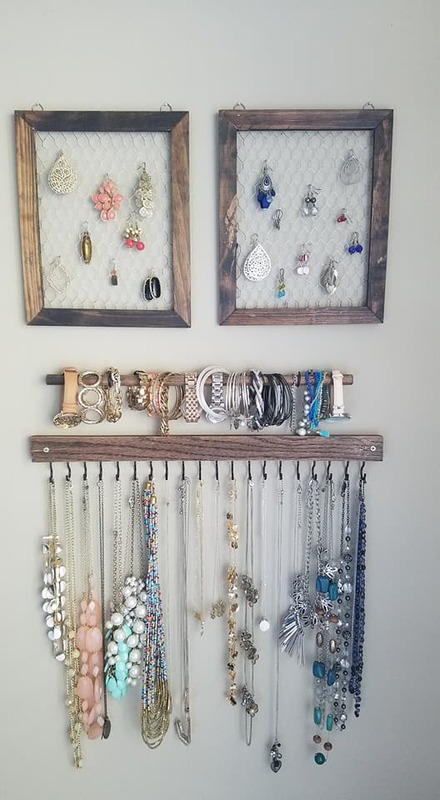 I think I might make one next weekend! Naturally, we played a game called “Argue”. What better way to end an evening of drinking? After Matt and Erin left Sunday, Bobby and I played a round of disc golf. This time, we played the whole course. Mowgli was excited to be outside in the woods. He loves to chase the discs (and squirrels). Overall, a fun and eventful weekend! It’s finally starting to feel like fall. Cooler weather and low humidity. 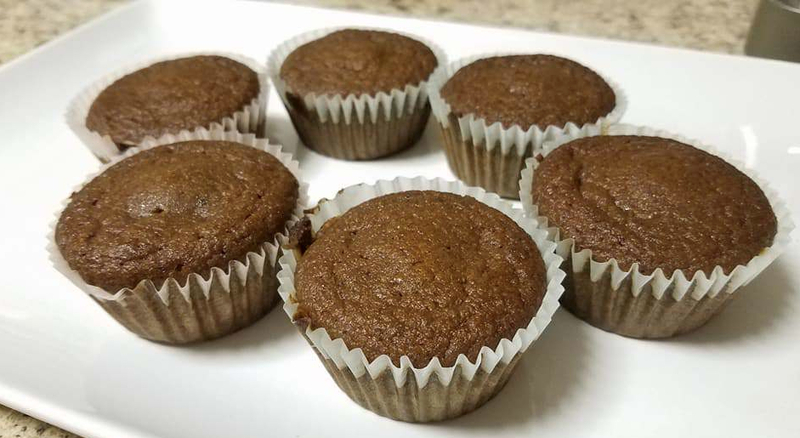 I think I’ll do some fall baking next weekend (mmmm!). 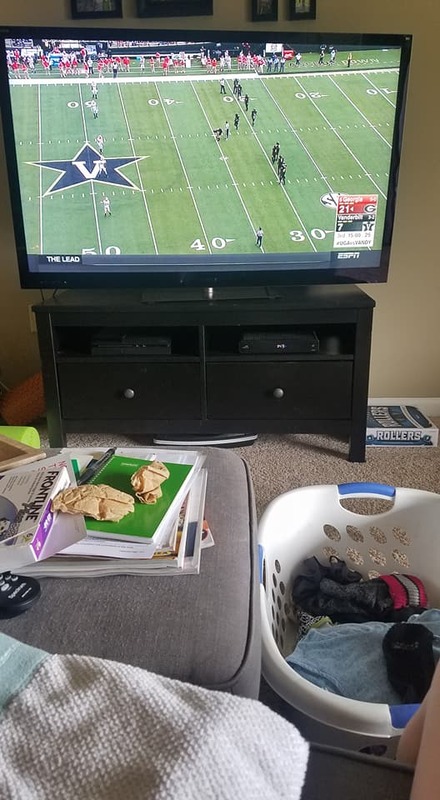 My Weekend Recap: Disc Golf, Home Activities, and Football! Bobby and I had plans to go camping this weekend, since it was our only free weekend in October, but the weather didn’t look promising so we decided to stay home. After work Friday, we ventured to Apex Nature Park for some disc golf. 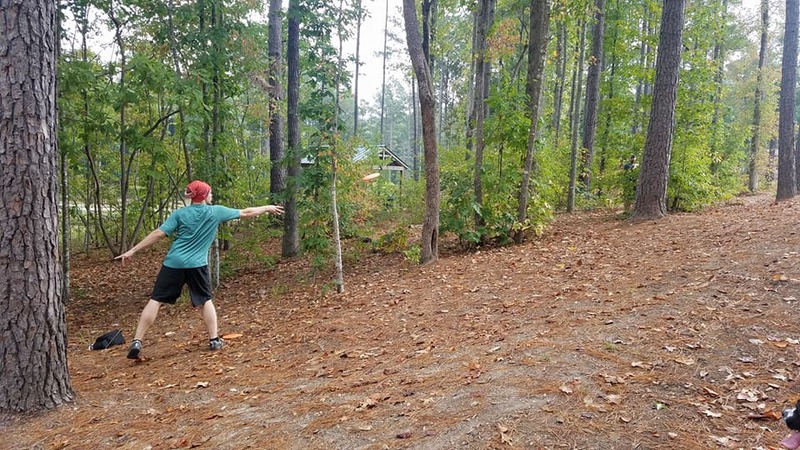 Bobby started playing disc golf about 2 years ago with a friend in VA and hasn’t stopped. 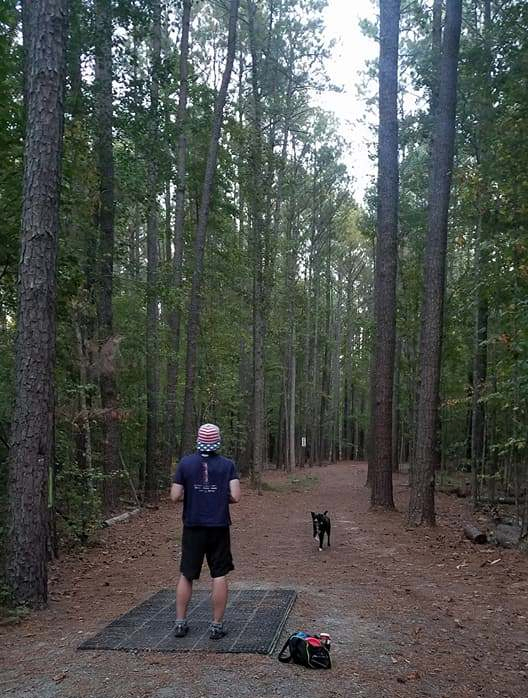 When we moved to Raleigh, we found out that there’s a huge disc golf community! I enjoy casually throwing a frisbee on the beach, but the thought of making frisbee a competitive game wasn’t enticing. A few weeks ago, I decided to give it a shot and actually enjoyed it! We didn’t have much daylight, so we only got about 7 holes before we had to leave. 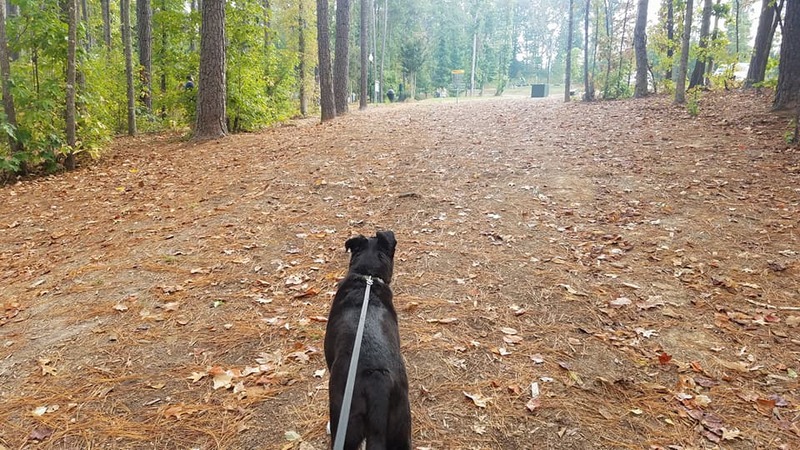 And, of course, Mowgli loves chasing the discs in the woods. Mowgli is ready to chase the discs! 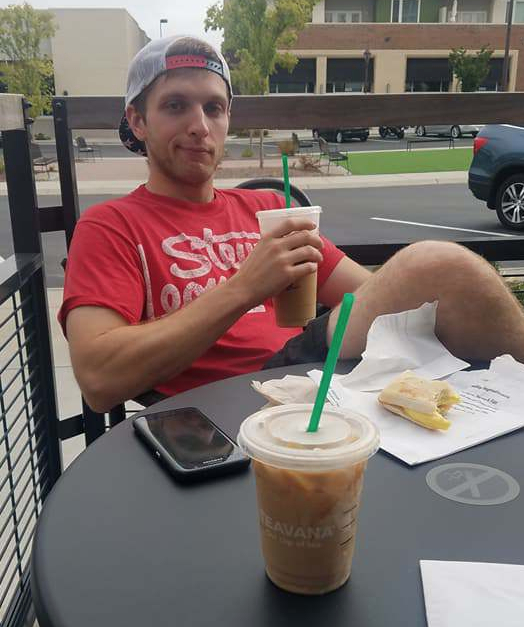 Every weekend, Bobby and I like to walk up to Starbucks. We’ve been fortunate to live within a mile from a Starbucks, so we harness the dog and take him with us. Mowgli loves getting a Puppacino (just whipped cream in a cup)! 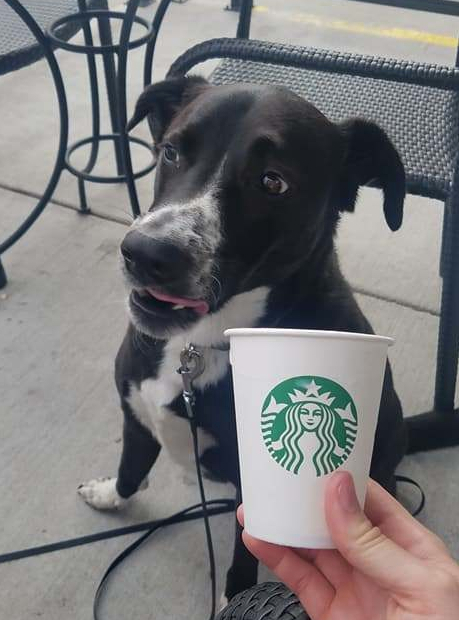 He’s spoiled rotten and gets mad if we ever go to Starbucks without him. Since we didn’t have any concrete plans, I decided to take some time to catch up on paperwork (yuck) and chores. While I hate doing paperwork, I actually love cleaning. Anyone else as weird as me? 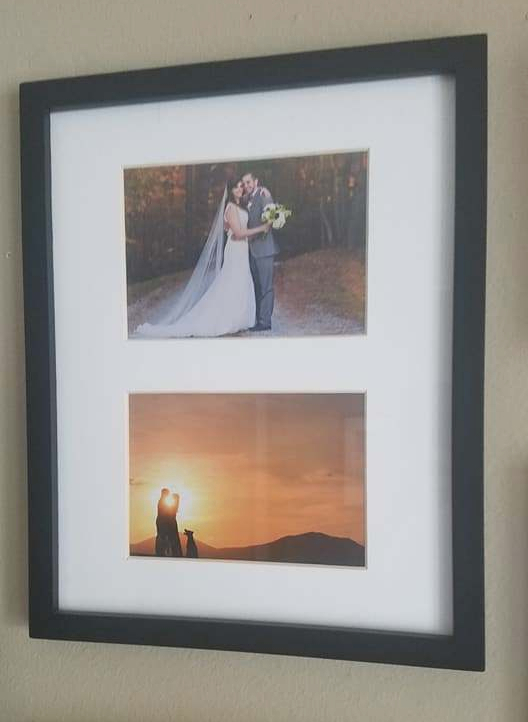 I was also able to update our gallery wall with some wedding and honeymoon photos — only took a year! 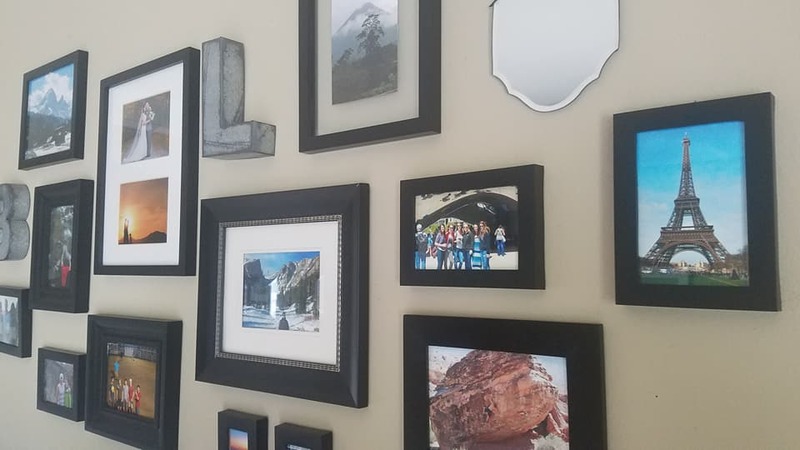 You’ll find photos from Paris, Chicago, Las Vegas, Denver, Coasta Rica, and more! 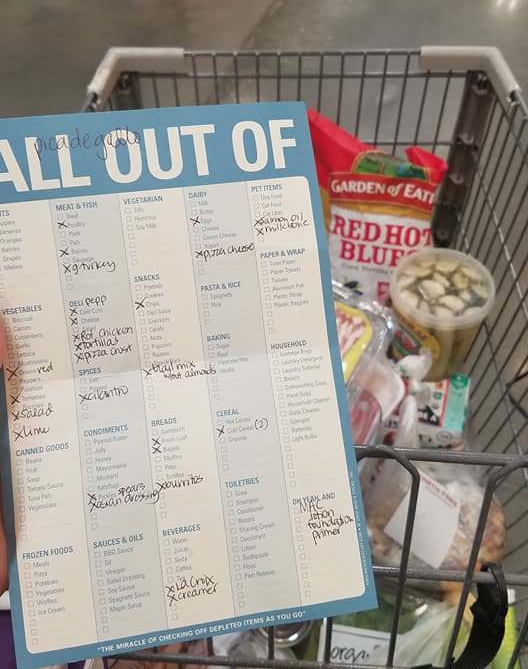 Since we’ve been busy most weekends, I haven’t really had a chance to go grocery shopping….which means we’ve been eating out a lot. I did some meal planning and pulled together a pretty hefty grocery list. 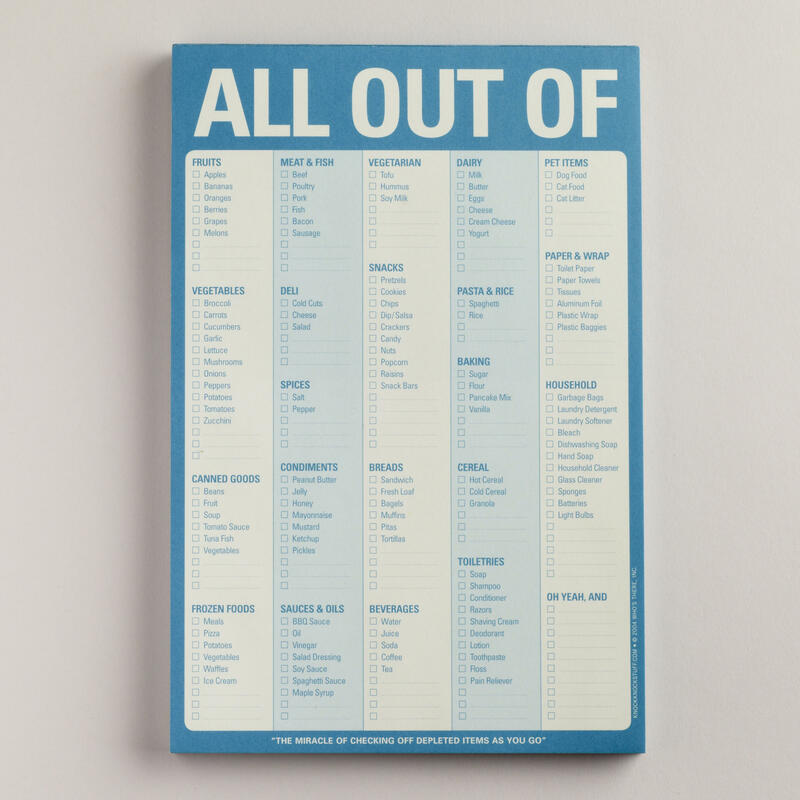 I use the “All Out Of” grocery list by Knock Knock. I LOVE this thing! You can buy it here. 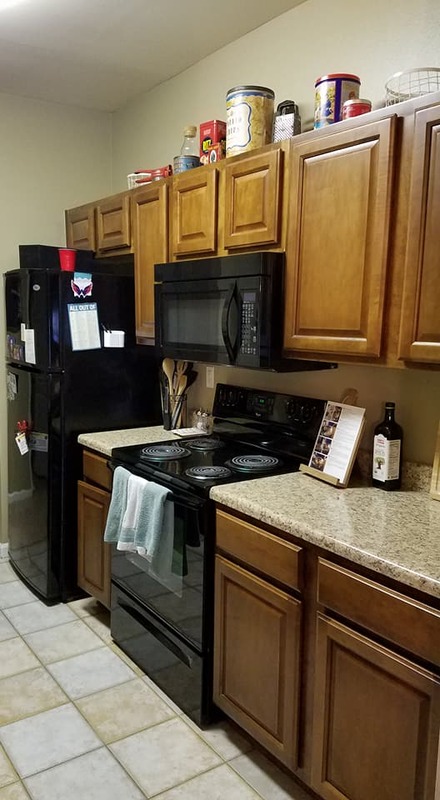 I keep it on the fridge so I can add things as I run out, or use it to check my inventory of food items or household products. I also love Knock Knock’s Pack This checklist. Oh! And I found this AWESOME coffee creamer! I try to eliminate dairy from my diet, but flavored creamers are hard to find in a non-dairy alternative. I found a Caramel Almond Milk creamer by Silk. It’s SO good! Even Bobby liked it! AMAZING! You must try it! Saturday night we were invited to have dinner at Bobby’s work friend’s house. He and his fiancé are huge Alabama football fans, so we suited up for an epic game vs. Texas A&M. I’m glad I’ve been keeping up with NCAA this season…I was able to hold a decent conversation about stats and players. Roll Tide Roll! BAMA WON! Sunday was pretty low key. I started to make dinner and realized I never got out of my PJs! I spent most of my day catching up with family. Spent an hour and a half on the phone with my mom, 20 mins on the phone with my grandma, and about 30 mins texting with my step-mother-in-law. Sometimes you just need to check-in and chat. Oh! I almost forgot! This weekend was the REI friends and family sale. Luckily, I snagged one of those discounts from Kate while I was in Colorado last weekend. Bobby and I had a gift card leftover from the wedding, plus I had my dividend to spend. We got two new headlamps, a buff for me, a Big Agnus Sleeping Pad, and the Big Agnus Pumphouse…for only $0.22 of our own money! The shipment is suppose to deliver on Friday, so I’ll take some photos and post a review next weekend. That’s all for now! Hope everyone had a great weekend. Looking forward to a productive and peaceful week.